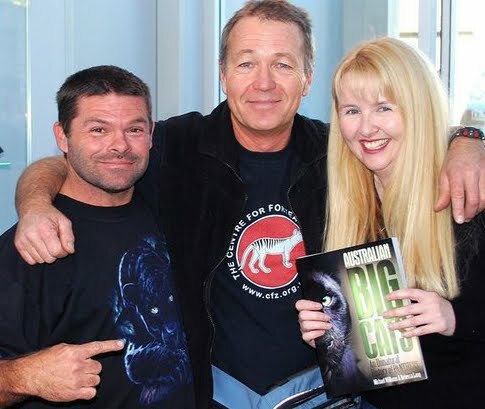 Those shameless publicity seekers Rebecca Lang and Mike Williams have just launched their book, Australian Big Cats: An Unnatural History of Panthers. Mike wore his CFZ colours on the day! Here they are pictured with witness and ace photographer Shane Foreman (left) at the launch, which was held at the Hawkesbury Regional Museum. Incidentally, the Museum is presently host to an excellent exhibition, Hawkesbury Myth and Legend, featuring some of the duo's contributions. Mike and Rebecca will also be speaking at this year's UK Weird Weekend 2010!